The Krueger/Whitehorse Boatbarn hosted a sort of swap meet on Saturday, January 26. 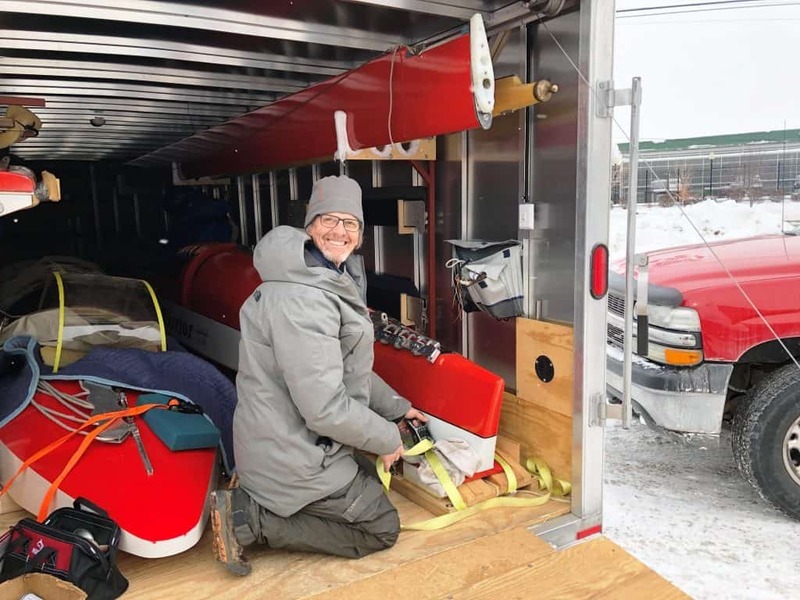 Recent NIYA and ISA Class A Skeeter regatta champ, John Dennis, made the 5 hour drive from the Minneapolis area to pick up Ken’s Class A Skeeter, WARRIOR 5. 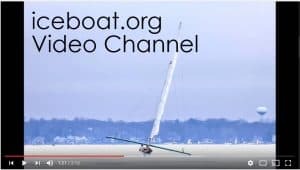 This will double the size of the Class A fleet in Minnesota! That frees up space on the trailer for Ken’s latest acquisition, a very fast modern Class A skeeter originally owned by Bob Kau and built in the attic of a Suamico Skeeter builder. 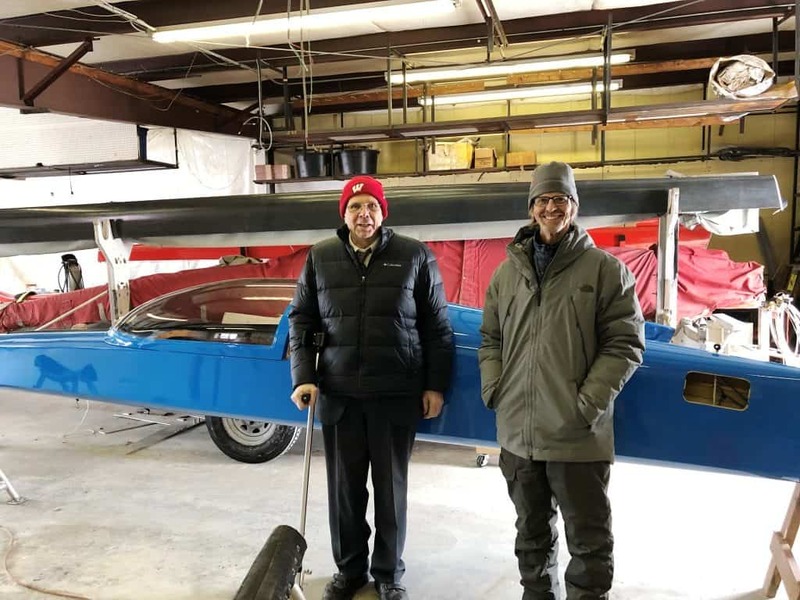 Everyone has had their eye on Kau’s blue Class A Skeeter since its been for sale and the 4LIYC is glad that Ken decided to make the boat part of our Skeeter fleet. The paint schemes will switch up with JD putting WARRIOR 5 in blue and Ken changing the blue Kau Skeeter to the traditional 4LIYC red and white livery. JD and PK talked at length about runner technology. JD shared his vast knowledge of the numbers on crown and flat. Much thanks and credit to Jay for coordinating the sale. All participants are very pleased with the exchange. The Skeeter fleet is growing!